Florida Atlantic University’s Southeast National Marine Renewable Energy Center (SNMREC) has been notified by the U.S. Department of Interior’s Bureau of Ocean Energy Management (BOEM) that a final Environmental Assessment (EA) with a finding of no significant impact (FONSI) has been published to the Federal Register for SNMREC’s proposed offshore ocean current turbine testing facility. The next step is to negotiate a five-year lease to conduct testing activities on the U.S. Outer Continental Shelf. With close to $20 million in funding from the U.S. Department of Energy, the state of Florida and private companies, researchers at FAU’s SNMREC have been working since 2007 to establish the world’s first offshore ocean current turbine test site. The project involves the installation of multiple anchored floating “test berths” to evaluate ocean current turbine designs. Each test berth will consist of a buoy anchored to the sea floor 13 miles (22 km) off Fort Lauderdale, to measure ocean conditions and allow ocean current turbine prototypes to be deployed from vessels moored in the Gulf Stream. The first technology to be tested will be a research turbine designed and built at FAU that will collect unprecedented drive-train performance and reliability data valuable to commercial developers and regulatory agencies alike. The SNMREC will perform additional benthic surveys and a final sea trial of the buoy before installing the first test berth in early 2014. FAU’s research turbine is scheduled to be deployed in the Gulf Stream for the first time in mid-2014 after a series of towed tests. 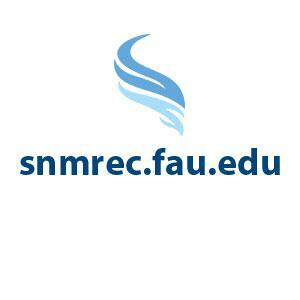 The revised EA and FONSI, as well as FAU SNMREC's lease request can be accessed on BOEM's website. For more information, contact Susan Skemp at 561.297.2339 or sskemp@fau.edu.